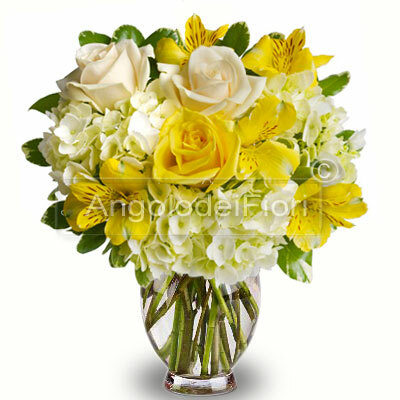 Elegance and color in this beautiful bouquet, lovely in white and yellow, warm colors and elegant at the same time. Just perfect for any occasions! You can choose to send it for a birthday or to brighten a home away from you! This bouquet includes Roses and other mixed flowers in the yellow and white shades.